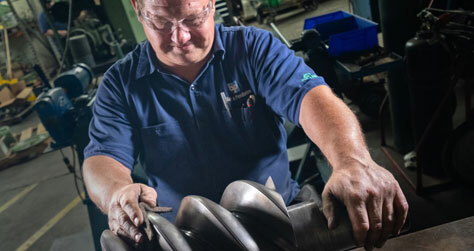 B&P offers highly unique services aimed at increasing energy efficiency and improving compressed air usage in customers' plants and facilities. Blake & Pendleton serves the Southeastern US Market from 13 logistically placed Sales & Service Branch offices located in 6 States. We are dedicated to optimizing Compressed Air usage in every facility utilizing Compressed Air & Gas. Our Team of Sales & Service professionals provides a consultative approach focused on energy efficiency while minimizing operating expense. We specialize in all aspects of Compressed Air & Gas Industry with Auditing, Automation & Controls, Instrumentation, Oil Flooded & Oil Free Rotary Screw Technology and Oil Free Scrolls & Centrifugal. We provide additional support with our Large Rental Fleet, Rebuild & Refurbishing Center, Air End Rebuilds and our Testing facility. 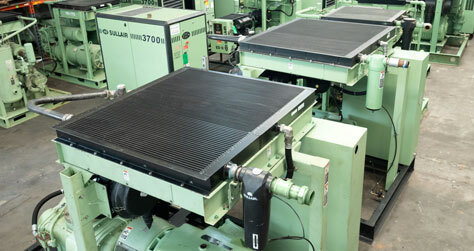 Our focus is to keep your equipment running efficiently and optimally while eliminating downtime. Call Today for your Complimentary 1st Service or Free Compressed Air Evaluation. 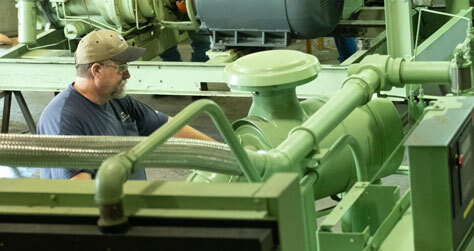 Services to help keep your equipment running and minimize downtime. Complimentary First Service or Air System Energy Evaluation!